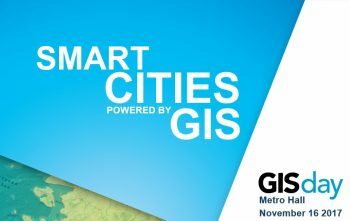 The theme for the City of Toronto’s GIS Day is “Smart Cities – Powered by GIS“. 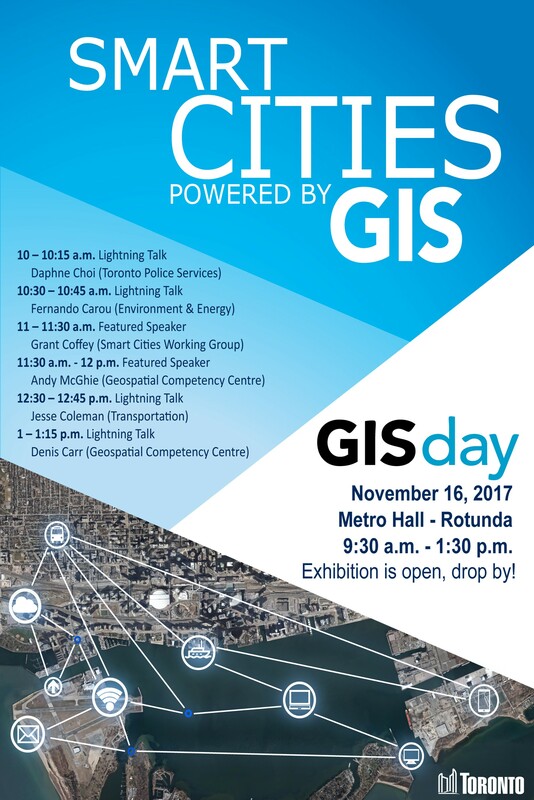 Please join us in the Metro Hall Rotunda on Thursday, November 16 anytime between 9:30 a.m. and 1:30 p.m. to celebrate GIS Day. The event will include featured speakers on Geospatial and Smart Cities, lightning talks by the City’s Geospatial Competency Centre and internal partners, and booths showcasing a variety of geospatial interests across the City. Help spread the word by sharing this Poster!